I have a lot of creative hobbies, things I love to do. Making cards, however, wasn’t one of them. I knew there is a big market out there, all dedicated to making cards, but it just didn’t appeal to me. So when a colleague invited me to do a workshop “Card making” I wasn’t really enthusiastic. But, just for fun, I decided to go ahead and participate. And I loved it! 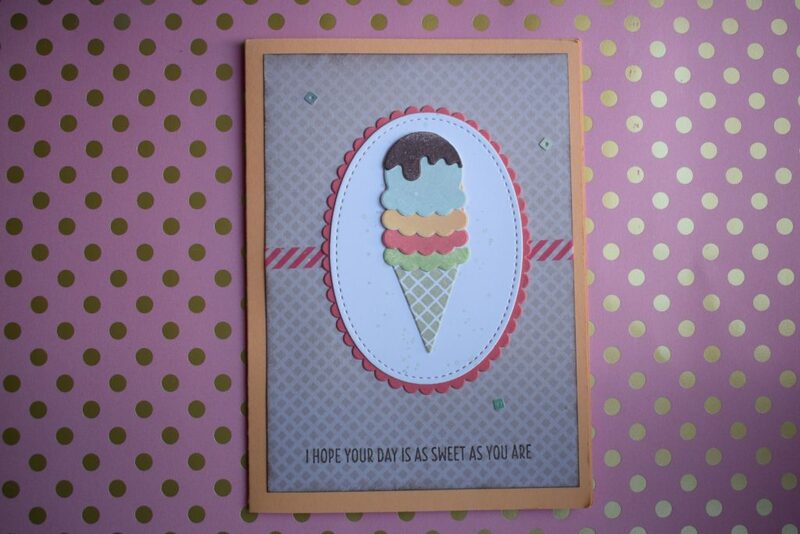 The card I made looked really professional, and when I discovered the Lawn Fawn stamps, I was hooked! I was pretty hesitant about that. But well… I already purchased the stamps, so I needed to get over it, and started searching for coloring markers online. And there is a lot to be found. I focused on Copic Markers, but there is so much! 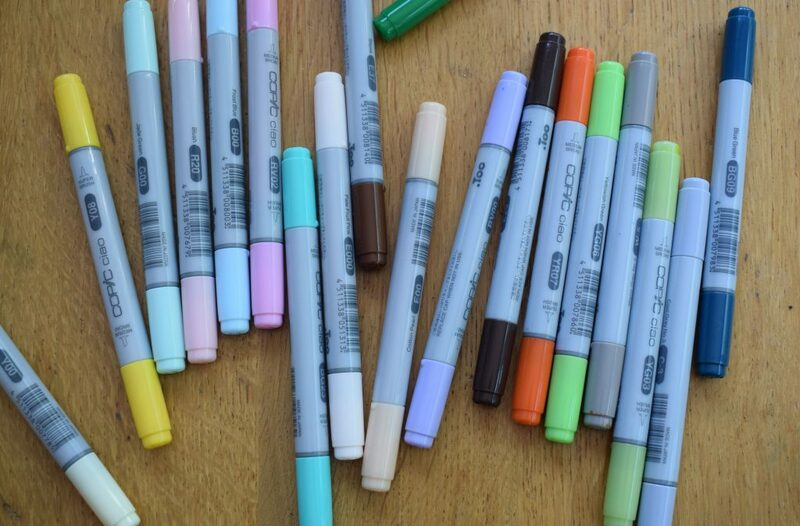 Copic Markers are alcohol-based markers. Despite being pricey, they are really popular with professional artists, and are also being used in the card-making world, to color in stamps, or to be used for mixed media. This is due to the fact they have a lot of really cool advantages. You can color stripeless and they blend like nothing else. What kind of markers are there? 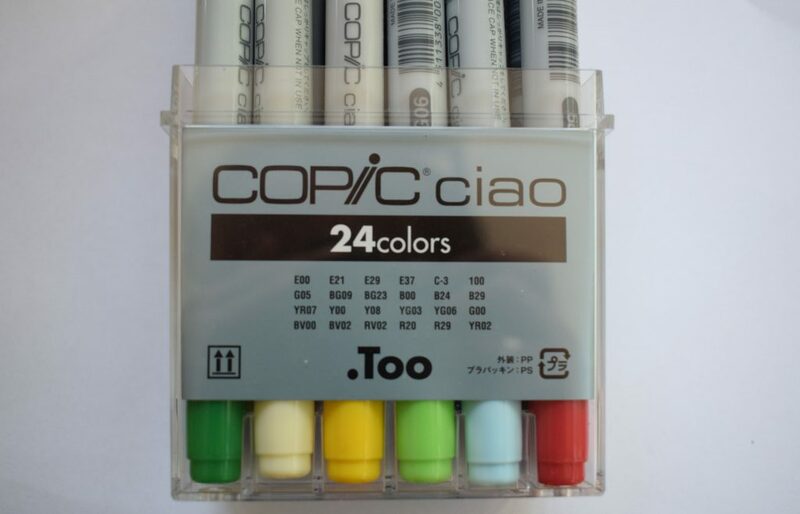 You have the following kind of markers: Original Copic, Copic Ciao, Copic Sketch and Copic Wide. Original Copic: This is the original marker and has 2 points, the broad and fine nib. This marker is available in 214 colors. Copic Ciao: This marker has the Medium Broad nib and Super Brush nib. This marker is slightly cheaper and has 180 colors. Copic Sketch: The sketch marker has the Medium Broad nib and the Super Brush nib, but a lot more colors and more ink. There are 358 colors available. Copic Wide: This one has a very broad nib and is used to color in bigger parts of a drawing/stamp. The Copic wide has 36 colors. Personally, I love working with the Copic Ciao. The nib is perfect for sweeping the ink, or just to color. The marker is slightly cheaper than the rest and has a bit less ink in it. I use the original as well, but I really needed to learn to work with them. I use this mostly to add extra shade. How did I choose the first set of markers? I bought a complete set in the beginning because I figured I needed a few different colors. Only after, I realized that there was this whole blending thing, where you needed to have several color tones that needed to match, to get the nice shades. So after using the markers for a bit, I purchased a few markers in the same color tones, so I could start learning how to blend. Tip; first check what you want to color most. There are different kinds of blending sets, that you can purchase, so you can start blending right away. Try, before you buy! Blending is combining more colors, for example, coloring from light to dark, or dark to light and to bring shading. Normal markers don’t blend, but the alcohol in the Copic Markers is making the colors melt which gives a beautiful result. 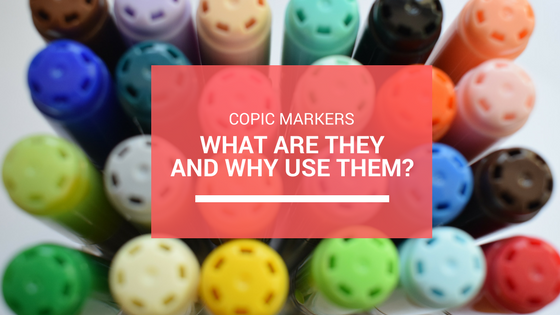 Do you work with Copic Markers? How do you use them?